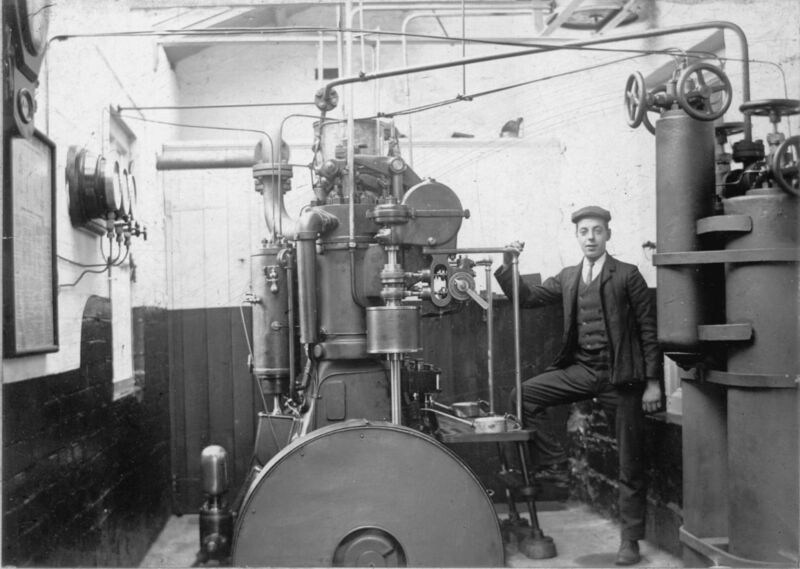 Whilst much has been discussed concerning the use of semi diesel engines built by Bolinder, in Sweden, British manufacturers also provided engines of the diesel type. It is their development for use as power for narrowboats, which might deserve further examination. No quite with you here. Note the narrow boat photographed by the engine. Widdop engines were fitted in some Leeds & Liverpool boats, and I'm sure Mike (Pluto) will endorse their superiority over the Bolinder! Edited February 10 by Derek R.
Thank you for the information, Derek. I understand the Hot bulb, or semi diesel, was different to the diesel engine, in that it required an external heat source, such as a blow lamp to commence the ignition cycle, whereas the diesel engine relied on ignition through compression. It is this form of internal combustion which has become such a concern through the waste gases produced. Both types of engine were, in the early periods of development, adapted as stationary engines, as were the gas engines that ran on town gas. I was curious if the types of motor has been fully documented in the working boat fleets, especially noting the difference. Except that none of those Cowburn and Cowpar boats are 1920s, I think. They are 1930s builds by Yarwoods in a similar time-frame to the start of the build of masses of GUCCCo "Star" class boats. These boats I believe had Gardner hot bulb engines, so again semi-diesels on the same principle as Bolinders, whereas the GUCCCo boats had Nationals and Russell Newberys, so proper "full" diesels, which was surely the decade when developments were moving towards more modern engines. Unlike the 9HP and 15HP Bolinders, I believe those Gardners did have a reversing gearbox. Are any of the Gardner hot bulb engines still in use in any narrow-boat? Along with Bolinders I'm aware of Seffles and Petters, but I'm not sure about other makes of hot bulb engines. I know that Mike the Boilerman's "Reginald" briefly had a Skandia, but what its fate was I'm not sure. This is the first diesel to be installed in a boat - it was trialled on the L&LC in 1905. It was a standard design made by Sulzer, and not a marine version, the need for which becoming obvious after the trial. The engine was removed from the boat and reinstalled at Finsley Gate workshops to drive the sawmill, as seen in the photo. The full details of this pioneering use of diesel power can be found in my article in the Autumn 2016 edition of Narrowboat. Should any one wish to see an early Sulzer running, then the Internal Fire museum in Wales is well worth a visit. Theirs runs daily. There were not only town gas engines but also producer gas engines. From National, and Crossley among others they had their own gas producing plant (Crudely a coke fire through which syeam was passed) so could be installed where no town gas plant was handy. I believe one at least of the FMC steamers was so fitted. The trigger to cold starting diesels rather than the Ackroyd semi- diesels was the development by Robert Bosch of the solid injection pump. He was German and during and after WW1 companies liks CAV were able to develop similar pumping arrangements. 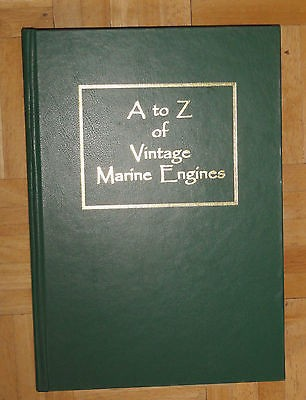 This produced demand for mobile CI engines which developed Diesel Technology and in some cases were the basis of the small marine engine. As a rezult most successful early small diesel engine designs date from the late 1920's and early 30's. Names like Gardner, Petter, Kelvin all introduced Diesel engines in this timeframe, to complement earlier designs of petrol engine. 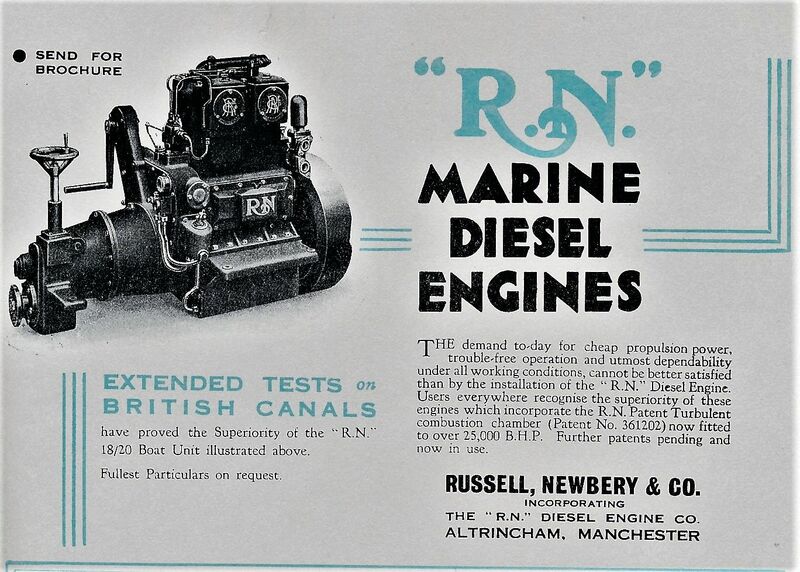 Firms like Ruston and Fowler went from steam to Diesel. The internal Combustion Engine by Harry Ricardo is a good read, if a bit technical in places, as is the Caxton Press book High Speed Oil Engines. In 3 volumes. The Ricardo Book is on the web, but you will have to look for the Caxton book in hard copy AFAIK. Although some of the Royalty boats had semi diesels. If this is the engine out of "Oak" that was at the museum it was given by Dad and was from Charlie Ballinger's boat "Olive"
Alan asks: " Are any of the Gardner hot bulb engines still in use in any narrow-boat?" I think just SWAN, post #3 above. Doesn't GEORGE still have a Kromhout? RN, National, Lister - all fitted during the thirties. I was told ages ago that BW in seeking to replace worn out Nationals, took the opportunity to avail hemselves of ex-government stock of the Petter, mostly PD2 - the 'Chip fryer'. The one that got fitted to YARMOUTH in the eighties came from a former ships lifeboat, from a breakers somewhere in East Anglia. Others may have been sourced from ex-landing craft post WWII. The Third attempt, which follows on that clip, sees it running very well. It has a clutch and reversing gearbox, so must clealty been intended for a boat, most likely a fishing boat of sorts. George has a 20HP Bolinder, which unlike most of the 9HP and 15HP ones has a reversing gerabx fitted. Minnow, I think has a 15HP, (could be wriong), unusual I think in that it also has a reversing gearbox. Severn certainly has a Seffle. I'm not aware of any Kromhouts in historic narrow boats, but there is a massive Kromhout M1 in new build narrow boat Sonantis. I thought Skylark had a Gardner semi diesel in there. Maybe its been replaced. I've got a lovely memory of Skylark motoring up the Thames at Staines against red boards conditions in 1994. It had no trouble at all. Swam like a fish. That was a while ago so maybe it has lost the engine in the meantime. I certainly remember working on Stork's Gardener back around 1975. A publication from the Boat Museum Society, and dated fairly recently in 2015, suggests that three of the boats, Skylark, Stork and Swan have all retained Gardners. However, I must be quite unobservant because I have seen two of those boats quite regularly, and can't say I have been aware of single cylinder hot bulb engines! And here is Swsan's being a bit more reluctant to start! Kromhout m1 were used to, but seamed to have all be replaced, i beleive these were british engines. and the tunnel tug worcester had a twin but not sure if this was diesel? reference minnow above has a 9hp bolly, along with clent. There are a few others about as i think a few of the big barges at the port have some semi diesels in but I've never seen them running. I think UMEA has a pup in it but could be a bigger one. Last time I saw it was at Springwell farm GU. Regarding the other ACC motors ( apart from George and the earlier wooden motors), have the original engines for Prince, Edward and Henry been recorded.